The Rainmaker is the second in the Saga of the Chosen books by Petra Landon and continues the story of Tasia, Sienna, Jason and the Northern California Shifter Pack. Now that the threat to Tasia is seemingly eliminated, the focus turns to Sienna and the mysterious locket that she wears. Having tried everything to rid herself of this unwanted gift from her mother, the Lady Bethesda, and with her being a target of the vampires Sienna and Jason also find themselves taking up residence in the lair to ensure their protection. With Lady Bethesda’s increasing attempts to unite the sisters and fulfill the Prophecy, the race is on to locate the remaining siblings and unravel the mystery. With the help of a powerful ancient, the team learns of the location of the second sister but also discovers that she currently resides with Lady Bethesda. If that weren’t bad enough, without access to the actual prophecy, the group are at a disadvantage and can only guess at Lady Bethesda’s methods and motives. Sienna is not the only one with visions in this installment, as Tasia has also been having nightmares of being trapped in Shifter form in a cage in the woods. The more time she spends in the lair, the more frequent and vivid the nightmares have become. In an attempt to quiet her visions and get answers, Tasia finds herself increasingly seeking out the Raul’s company. With the duo spending more and more time together, Tasia finds herself relentlessly drawn to the charismatic Alpha and the attraction seems to be mutual. However, with Tasia still hiding secrets from Raul, she resists any advances that the Alpha makes as what she is hiding may have detrimental consequences to those around her. The Alpha Protector has also run afoul of the GCW after finding himself the target of retribution from Guardian Anderson who was partnering with the vampire Rafaelo Bianchi to take the Alpha Protector down. After a close call that could have had devastating implications for the entire pack, the once reclusive Shifters find themselves forming an alliance with the Vampires and the Wizards to ensure that the Northern California area is safe for all Magicks. The alliance heads to the GCW headquarters to retrieve the errant Guardian and bring him to justice, but finds that even with such a show of might, this will not be an easy task. I must give fair warning that for the best experience in understanding the events that have taken place thus far and where the story is going, “The Rainmaker” should not be attempted without having first read “The Prophecy”. For as blown away as I was upon reading “The Prophecy”, “The Rainmaker” is every bit as good as its predecessor. While “The Prophecy” focuses more on Tasia and her origins, “The Rainmaker” focuses less on Tasia and more on Nandini as the second sister, her past and her journey from India to San Francisco. Petra Landon does an amazing job of balancing existing storylines, allies and rivalries while introducing new characters and events to further the story. Tasia still remains a central part of the narrative as it appears that whether she likes it or not, she has taken a central place on the life of the pack and the Alpha in particular. With both guarding secrets that could potentially destroy them and others, the dynamic between them has been kicked into overdrive. I am liking this new tension between the power duo and am eager to see how they fare once (if) all secrets are laid on the table. The extent Tasia’s abilities are also hinted at in a bit further detail. From a possible seer to a Shifter herself, one thing is for certain and that is that Tasia Armstrong is like no other character I have ever encountered! Once again, I find my review lacking as it only scratches the surface of all that transpires in this book. 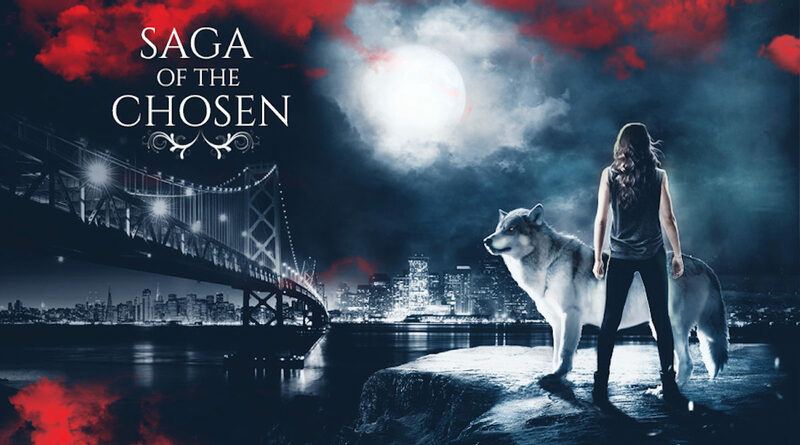 Part Urban fantasy, part romance and all business, The Saga of the Chosen is shaping up to be one of the best fantasy series I have had the pleasure of reading in a while. Note- photo above was obtained from the author’s website www.petralandon.com and is the sole property of the author. I love Petra’s books 🙂 Glad you liked it too.